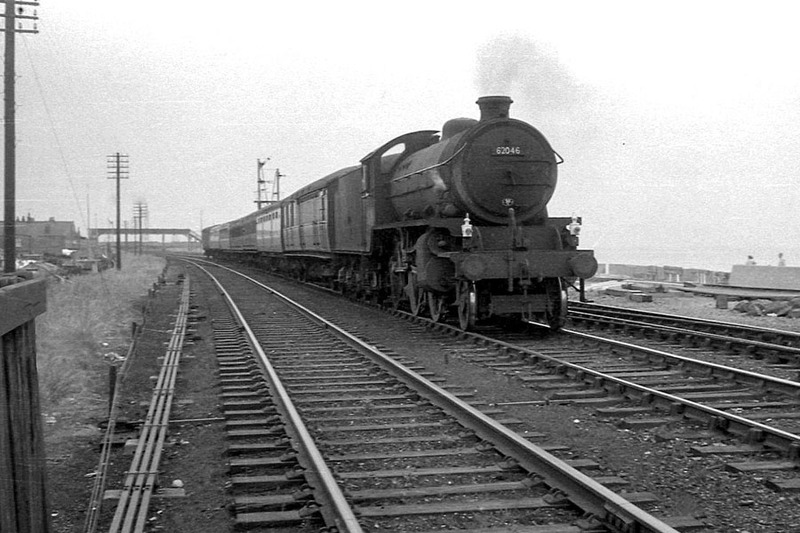 B1 61295 seen approaching Cleethorpes from Fuller Street bridge. 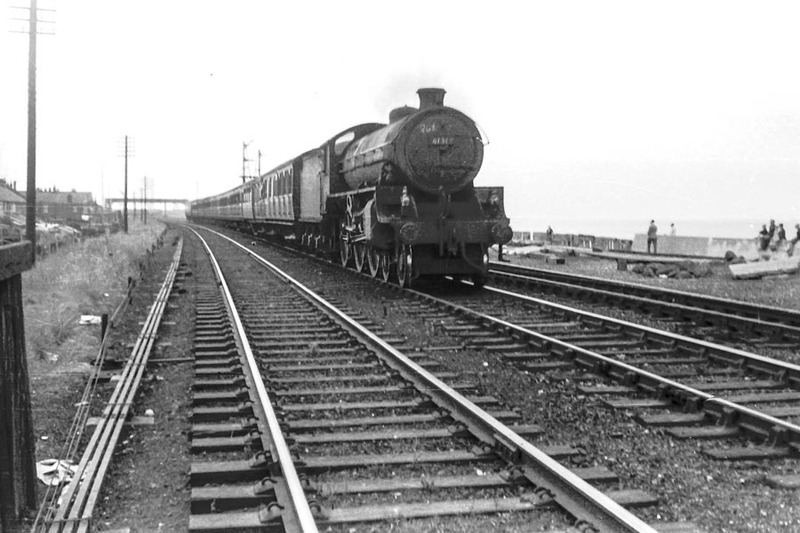 A Sunday excursion to Cleethorpes in the charge of K1 62046, with Fuller Street bridge in background. On the same day K3 61837 follows closely behind the B1. 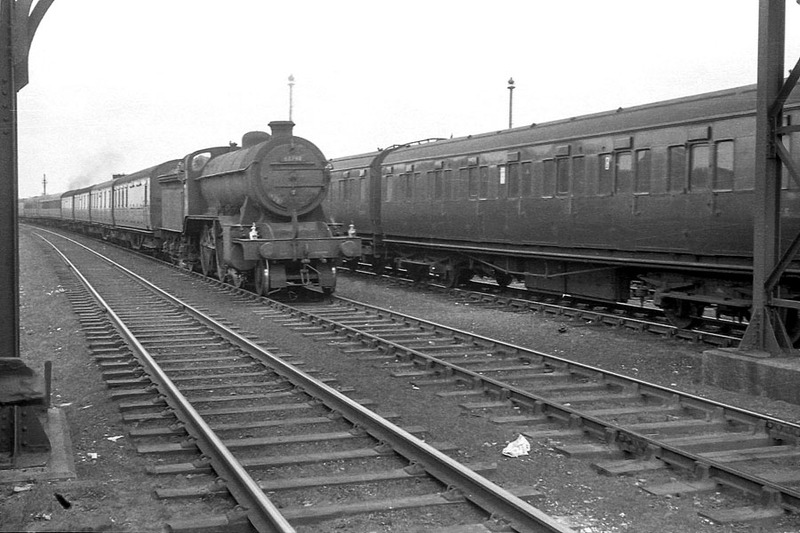 B1 61339 with carriage sidings visible on right. 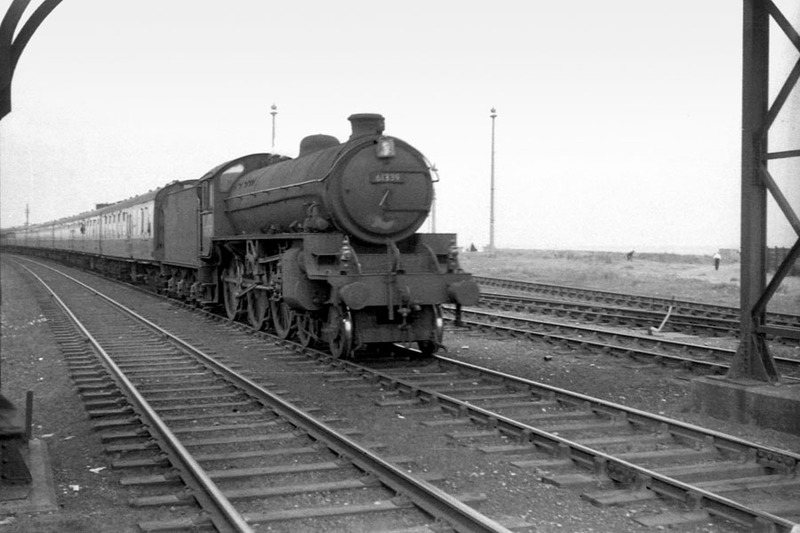 61144 seen leaving Cleethorpes with a local train. 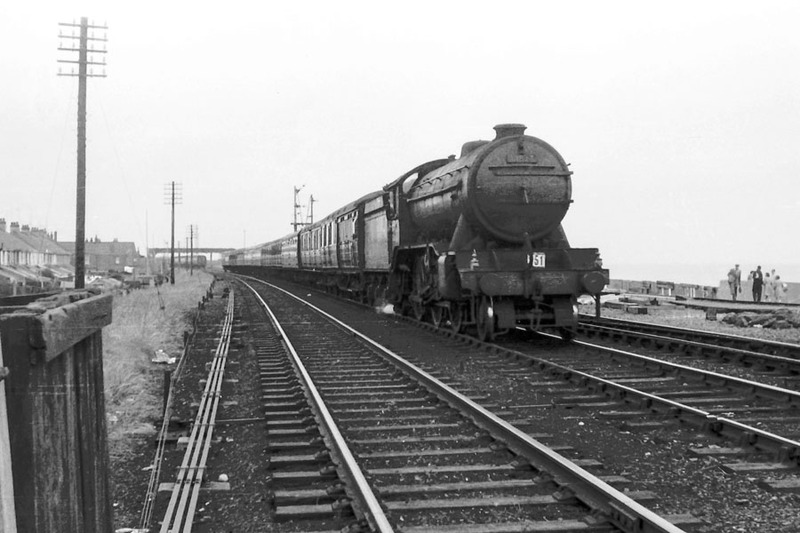 A K2 61740 passing the carriage sidings on entry to Cleethorpes. Another K3 hauled excursion into Cleethorpes seen passing under Fuller Street bridge. 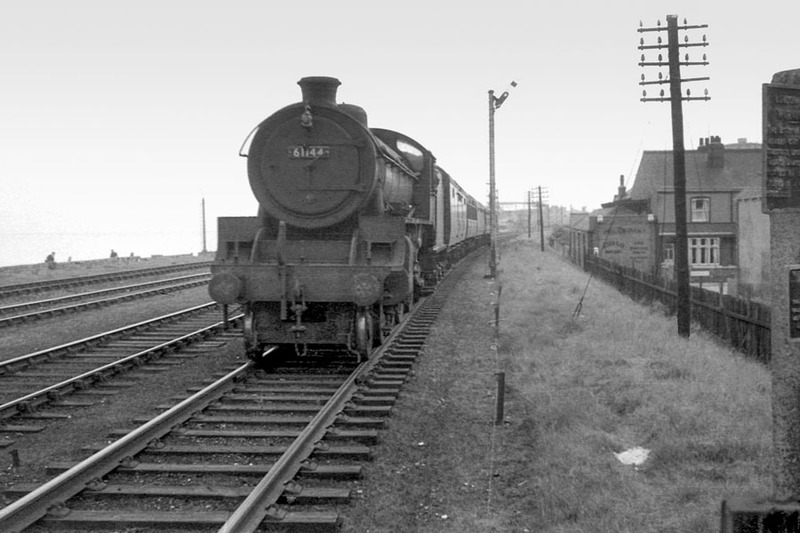 A Derby built dmu heads for Grimsby Town after passing Marsh Junction signalbox. 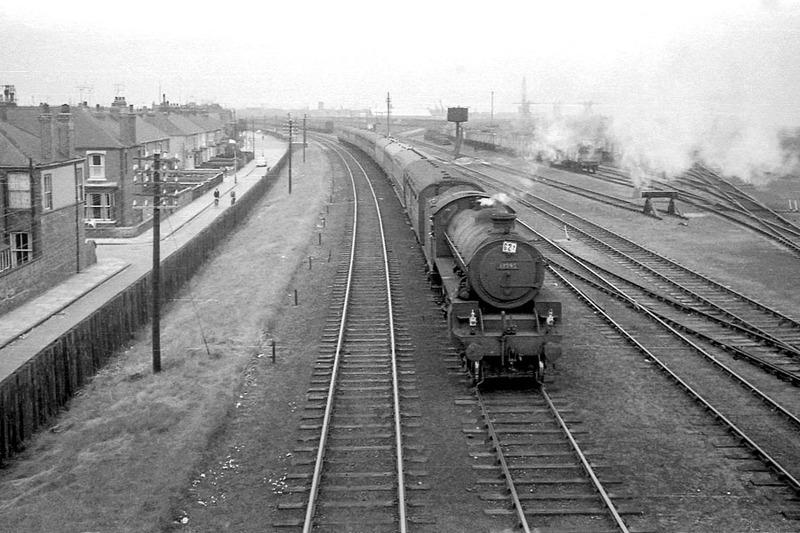 Unidentified B1 heading towards Grimsby with British Titan Products factory at Pyewipe seen in distance.